Now you know more about Dr Bach, pictured here, and how he developed his system of healing, I’d like to delve into why and when we may like to experience the beauty of the Flower Remedies. It’s quite a large topic and I have pondered it over the course of the week. Sometimes I think we know our best friends better than we truly know ourself. It’s a wonderful discovery that isn’t about becoming perfect, but rather agreeing to see ourselves as we truly are, hidden feelings, fears and all.. The first thing Dr Bach wanted us to do was to return to our true nature, the ‘us’ that lies within, often buried through prior conditioning, unhelpful prior patterns, and other people’s opinion on who and what we should be. Sometimes we’re the ‘people pleasers’, wanting to impress others, holding unrealised dreams, or giving in to fears preventing us from living a truly fulfilled life. He believed the vibrational energy of the flowers could flood our soul with the opposite virtue of a heavy emotion, in turn revealing our soul, our purpose, however simple that may be. We cannot be the best version of ourselves if self doubt, insecurities, inadequacies, and fears keep us locked into a place whereby we cannot move forward. Life is pure potential through discovering our true natures and finding a home for them to shine their light. 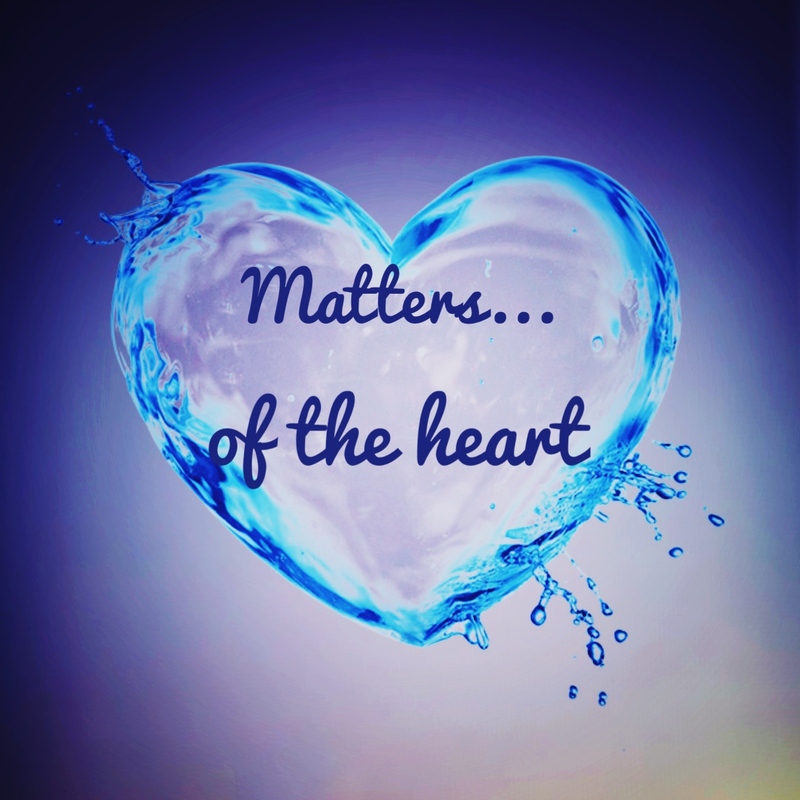 From the place of a peace and living according to our own values, even the most simple of encounters each day can provide the opportunity to Love…to make someone else feel like they matter, our replenished heart is able to reach outwards for others. Life is about progress and movement, as the flowing river and the changing of the seasons teach us. Every part of us is vibrating, constantly changing through the sloughing of what is no longer required or in a state of renewal. Emotions, ‘E-Motions’, are purely ‘energy’ in motion. Only when we fully own and accept an emotion we are embarrassed or ashamed to admit to feeling, can we tame it and watch it lose its power and hold over us. It’s not easy to accept we have feelings of guilt, jealousy, fear, anger. They have certainly been given a bad reputation. If we can find a quiet place to really feel…perhaps allow tears to flow, to go within, be truthful and honest with ourselves, may we begin the journey towards ‘healing’. ‘The process in which a bad situation or painful emotion ends or improves.’ It goes on to add an example, ‘Healing only begins when the hurt is shared with someone.’ Or, I will add, when we know what we are feeling. It wants our attention…When these feelings cannot flow freely through our body, this can often present itself as an illness or a real physical pain. We aren’t to blame at all, as it’s part of life to be moved by things, and to feel, but awareness of the power of our emotions is our right, and once we know, we have more incentive to manage them. The potential resides within us, awaiting our permission for emotional wounds to be cleared from our subconscious. And so, once we have become aware of how we are feeling, the gentle flower remedies can be called on to restore our faith in ourselves, and our ‘Being’ in the world, to return us to balance and encourage healing. I thought that was the most beautiful way to describe himself. We could also describe ourselves in the same way… to be here for each other, to give of our time, share our presence. The Remedies are too, like dear old friends, who are here to remind us of that very thing. They guide our hearts and our soul to provide us with moments of gentle awakening, returning us to what is inside all along. They work differently from the pharmaceutical model we are used to. They don’t provide an instant shift in gear, as they aren’t prescribed for physical ailments anyway, but create more of a awakening through a ripple effect over days, weeks and months. As Stefan Ball, who is the head consultant at the Bach Centre in Oxfordshire, explains, we don’t always remember or realise our headache has gone. We just get on with our day and it’s not until later on we remember ‘Oh yes, I had a pain in my head this morning’. That’s how the remedies work. We may realise after a period of time that we feel more confident, or don’t react to things the way we used to. We begin to remember how we are supposed to feel. ‘They will always work,’ explains a teacher in one of the books I read on Flower Remedies. The difference lies in the density of our energies that may be heavy and stuck from the emotional pain we haven’t been able to access, often for a lifetime. In those situations, there may be layers of an onion that need to be peeled away, always beginning with what is currently occurring in our emotional body. The gift we can offer each other is to listen and be present, with no judgement. I myself can relate to every one of the 38 remedies, and can think of a time whereby I could have ‘received’ their encouragement back to healing. It’s from that place we can be here for each other, seeing ourselves in another. This fosters true compassion. The remedies may give us unique ‘aha’ moments once we are better in tune with ourselves. It can be a truly beautiful journey of getting to know ourselves on a deeper level, and how we can make the world a better place just by being who we are. My wish in sharing is to invite you into yourself. Whether you choose to discover the healing thereafter from the remedies is entirely up to you. I would love to support you on the journey, but trust you have the inner knowing that you are a beautiful, already whole person, who perhaps has lost their way temporarily. We all find ourselves in that space from time to time. Thank you for reading and being here. I send much love to you on this journey called life. Previous postPart 2…The discoveries of Dr Bach. Who have accepted himself/herself can accept the world . It is that tough and equally that much beautiful. You have touched the core part of accepting the self the way it is …their lies the path of realization and wisdom. And then reap the benefit of acceptance and surrender at and when needed. I know you don’t write post for getting praise, but I must say your growth is phenomenal…although I am not a Guru but I can see the graph of yours and from my similar experiences. I always look forward to read your post for insights,courage,assurances and feel your story. Wow! I came very close to shedding a tear after reading this beautiful post, Dianne. You have such a way with words. I love the way you explain the definitions of ‘positive’ and ‘negative’ energy. Brilliant way to say that emotions are energy in motion!! ;) And the way you yourself can relate to each of the 38 remedies is just wonderful. It just goes to show that there really is something out there for everyone, if they allow the healing process to begin with these remedies. I also love how you say it’s a gradual process and not an immediate ‘bandaid’ as I always call those pharmaceutical / or prescribed medications. You inspire me to be the best me! Thank you so much for that!! I heard about emotions being energy in motion many years ago and it’s really stuck with me. It’s a really nice way to see them and it was an honour to have the chance to pass it on. Hello dear Kim, thank you so much. I’m touched and honored it could have meant something important to you at the moment. That is so encouraging, as I take my deep breath before I hit ‘publish’.